Another ‘out-of-the-cupboard’ spice blend that save time. Usually a blend of sage, thyme, rosemary, and celery salt. 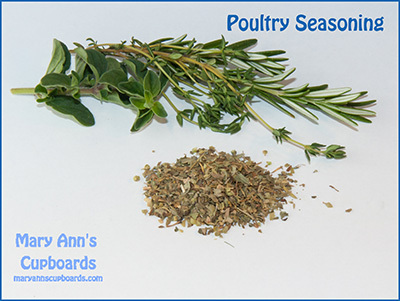 Suggested uses: Use to flavor poultry, slaws, soups, and egg or rice dishes.